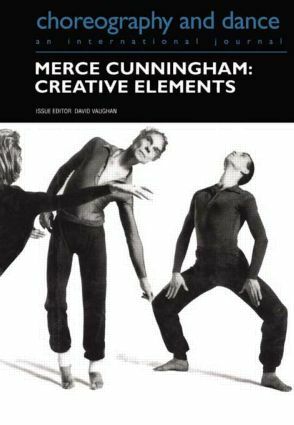 Merce Cunningham reached the age of 75 in 1994, an age at which many creative artists are content to rest on their laurels, or at least to leave behind whatever controversies they may have caused during their careers. No so Cunningham. In the first place, his 70s have been a time of intense creativity in which he has choreographed as many as four new works a year. Cunningham is a strongly committed as ever to the discovery of new ways of moving and of making movement, refusing to be hampered by the physical limitations that have come with age. Since 1991 every new work has been made at least in part with the use of the computer program Life Forms, which enables him to devise choreographic phrases that he himself would be unable to perform - and which challenge and develop the virtuosity of the young dancers in his company. The essays collected in this special issue of Choreography and Dance were written over the last few years and discuss various aspects of the work of Cunningham as seen both from the outside and the inside.